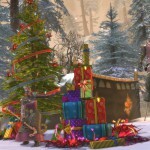 TRION has revealed their Rift holiday season event called Fae Yule. 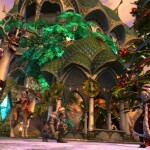 The new event will give players the chance to snag some holiday bonus items and new quests. The six week long in-game celebrations will feature fancy holiday hats, new quests, a grumpy mead-guzzling satyr, and other festive items. A three-phase world event will also take place, also called Fae Yule, where the Dragon of Air enslaves the Fae and it’s up to the Ascended to save Fae Yule. 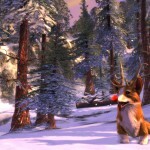 During the event players will earn unique Snowflakes, which can be redeemed for yule-inspired gear, a festive looking corgi companion, and a vaiyuu mount. To get things started, from this weekend TRION will also offer three days of subscriber bonuses, including increased experience, PvP Favor and Prestige, Plaques of Achievement, and Planarite. 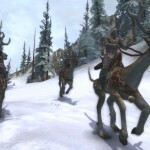 Rift Universe: Low Level Toon Can’t Get Yule Quests? 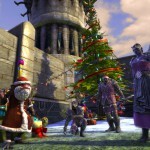 Rift Universe: Thanks for the Fae Yule Event, keep it up!!! 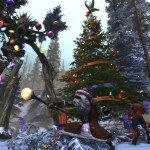 Rift Universe: I Love the Holiday World Event!